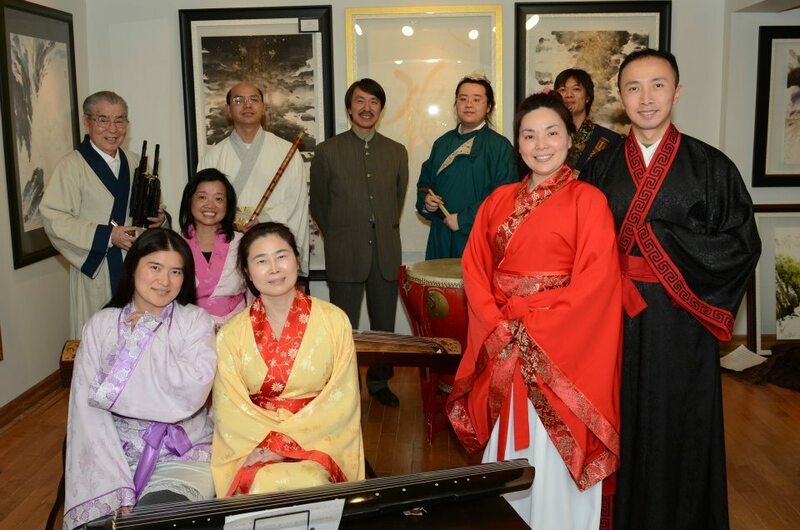 In celebration of the 2012/4710 Chinese New Year of the Water Dragon, the Toronto Guqin Society (TQS) has partnered up with the Toronto Chinese Orchestra (TCO) and Mr. William Ho of The ONE Gallery in Unionville, to bring you authentic traditional ritual music used in the Guanli coming-of-age ceremony. 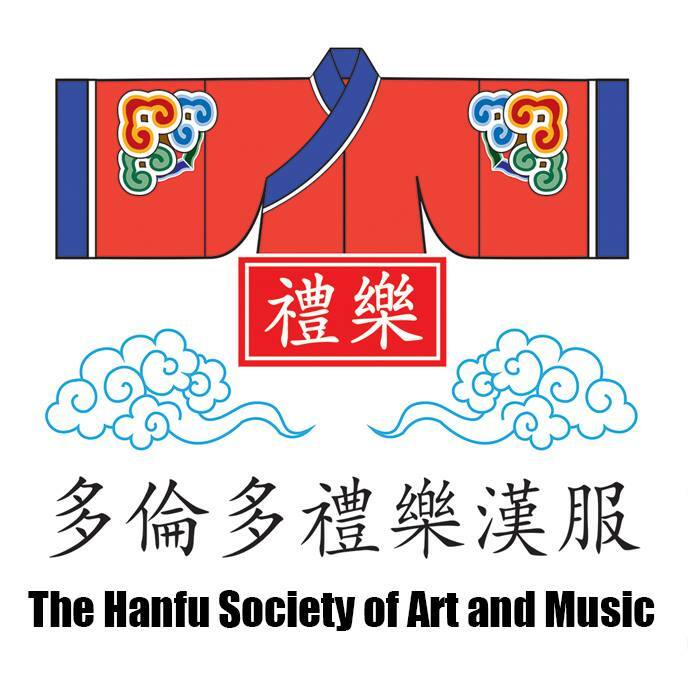 Recorded in High-Definition, this is the first time since TQS performed the piece in partnership with the Chinese Students and Scholars Associations of Ontario Universities (CSSAOU) in the 60th anniversary of the PRC in 2009. 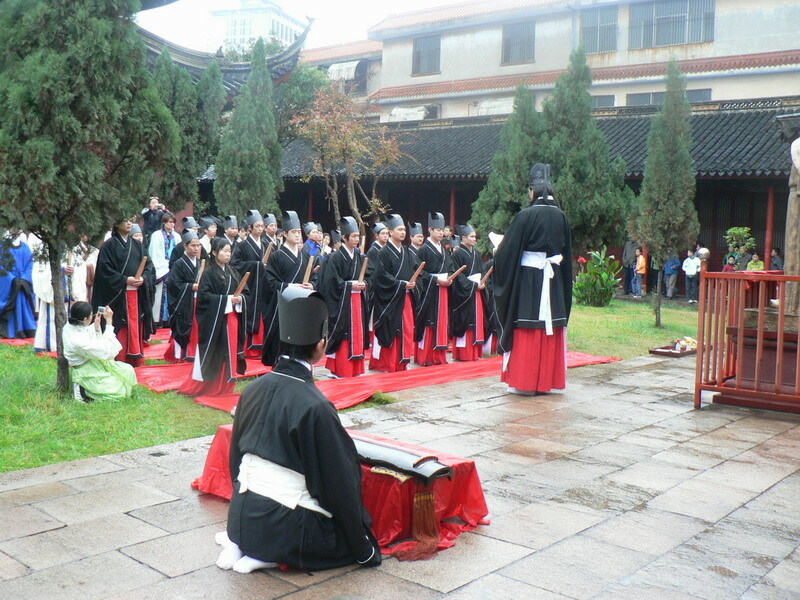 The three stages of the coming-of-age ceremony are reflected by the three pieces of music used – consecutive pieces “Lu Ming”, “Si Mu” and “Huanghuang Zhe Hua” from the “Small Elegant Airs” section of the Book of Poetry. The score used is the Imperial Commissioned Score of the Book of Poetry, titled by Qianlong of the Qing period (in the 18th century). The score was part of a larger cultural reform at the time, and the republication of the work in the Republican era (early 20th century) did not make any amendments. Juni Yeung from TQS has spent two years in studying the system, in attempt to revert the changes from the 14-pitch scale back to the 12-pitch one, and strike a balance with contemporary instrumental and performance contexts.